MyYogaWorks, My New Yoga Love! So if I didn’t drive you away with my negativity, I am sure you are wondering what MyYogaWorks is. 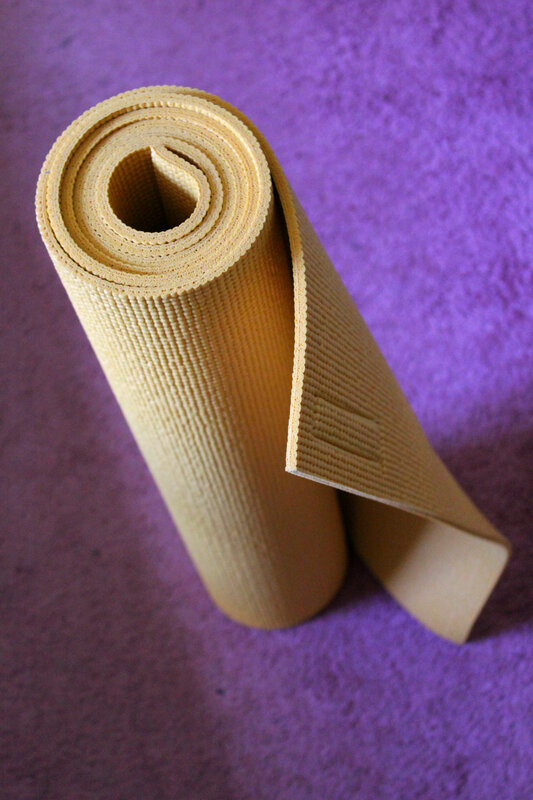 Well, let me tell you that it is my latest new yoga resource obsession! I received a free 6-month trial for MyYogaWorks in exchange for my honest review as part of their blogger campaign. YogaWorks opened their first studio 20 years ago and have now expanded across the country with more than 2 dozen studios. They have trained some of the world’s top instructors and are passionate about bringing safe, intelligent, and clear instruction to all their yogis. However, last year, they wanted to expand their love and teaching of yoga so that even if you couldn’t make it to the studio, you could still get in your practice. Thus, they designed this wonderful new website offering over 500 yoga videos so you can practice any time and any place! Their huge selection of classes can be sorted through by level, either beginner (1), intermediate (2), or advanced (3), length of time ranging from 5 to 90 minutes, benefits like stress-reduction, weight loss, calming, detox, prenatal, etc., as well as specific target areas like upper or lower body, and finally by teacher which is great once you try out a few classes and see who’s style you like best. Of course I dove right in to the advanced classes and the first one I tried was called Relentless Flow taught by Vytas Baskauskas. It is his 90 minute power flow class condensed down to 60 minutes. I am always skeptical about trying new videos. If I don’t feel my body working right away, I turn it off and revert back to my Fiji videos. But there was no holding back on this video! It got started right away and I knew from the first 5 minutes it was going to be a good class. Vytas walks around the room instructing and giving great ques, tips, and help. There is no music so you can clearly hear everything he says and he pace was very good so even on my first run through I was able to do everything on time. There are then two yogis who actually do the full class. They also show modifications for either deepening certain poses or making them easier. I really liked how calmly Vytas taught such a powerful class. I really like his style and that he had my legs shaking in chair and warrior through the whole class. I finished feeling strong, powerful, energized, and confident which is what I always am aiming for. When I finished I knew I was finished and I knew the class was worth it. It also left me with a smile on my face the rest of the night! Another really great feature of MyYogaWorks is the short video breakdowns of specific asanas and poses. For example crow pose. They have a huge serious of short videos to work through of you are a beginner just learning, or you can do the short series of videos for advanced yogis who are looking for deeper and more difficult variations. In conclusion my lovely friends, I absolutely love MyYogaWorks! And it came at the perfect time too. I was really starting to get bored with my old resource library and really needed some new practices to guide me. I am so happy this subscription is for 6 months and if they keep adding awesome videos, I will definitely be renewing it with my own money. And you can join in on the fun too! The lovely yogis at MyYogaWorks are offering my readers a discount when you subscribe! You can get your first month for only $5 by using the code: Blogger14! So what are you waiting for, go sign-up! + What do you look for in a yoga class? I need something powerful and strong. I am not into the light restorative practices. Visiting via SITS! So glad I found you. I’ve been practicing yoga off and on for years, happy to find a new source of inspiration. Take care! Thanks love, I’m glad you stopped by! Make that yoga practice consistent! Awesome I may have to take advantage of this once my new student deal at a studio runs out! It is a great option! I usually think paid sites aren’t worth it, but this one really is! If you like MyYogaWorks, you should definitely check out yogaglo! I have, but they don’t have many good advanced classes. Nonsense! Check out their level 3 classes. They’re insane, especially if you find the right teachers! That sounds like a pretty sweet deal! How do i get in on that?! Kidding (unless you are myyogaworks in which case i’m not kidding, let me in! haha) I am really into yoga right now but could definitely use some instruction or back to basics teaching to make sure my postures are correct, especially since I am recovering from an injury and my muscles need to relearn everything. What a great program! You should try it out! Use the discount on the bottom, but I promise you it is totally worth it!